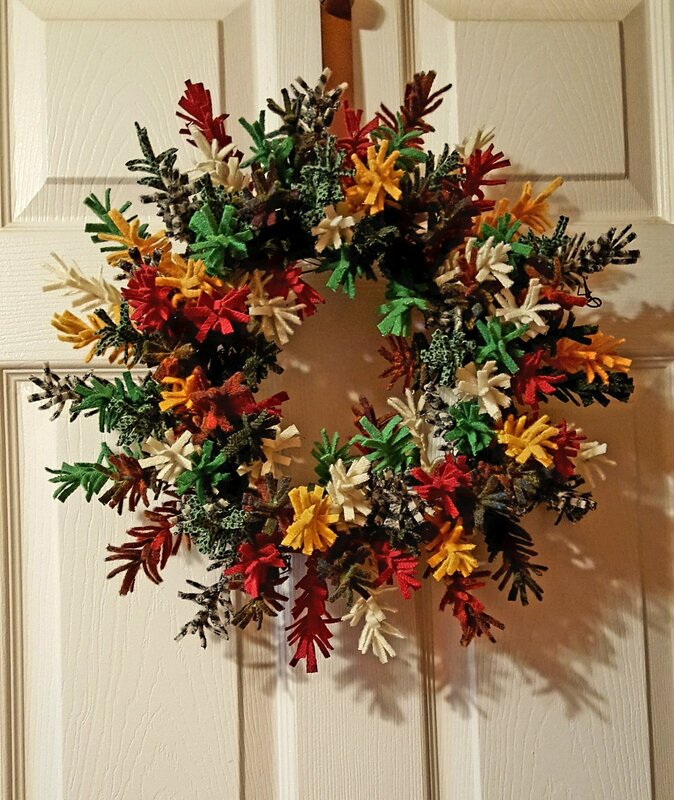 The Wooly Wreath is a great addition to any home decor. Class fee includes all materials! Mary and Jackie will walk you through the process and supply everything you need to make your own Wooly Wreath! Wednesday, May 1st 11:00 a.m. - 4:00 p.m. 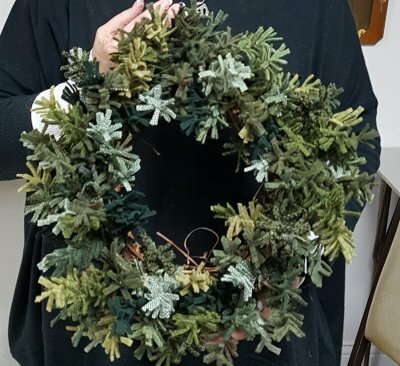 The wreath is assembled on a 10 inch grapevine wreath which is made in Harford County. The Teachers provide the wool pre-cut in one inch strips. It takes 15 strips of wool (twirled on 100 wires) to finish a wreath. 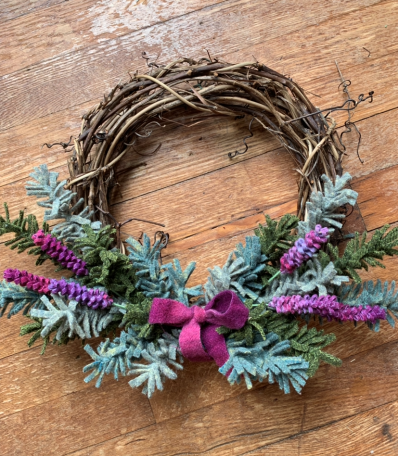 Attendees can choose from one to sixteen colors to make their one of a kind wreath to complement their home decor or give as a gift, and there are options for full or partial wreath available (photos are examples of possibilities).